(Oklahoma Historical Society Outreach Division, OHS). (2052, Oklahoma Historical Society Photograph Collection, OHS). World-renowned Wild West showman Gordon William "Pawnee Bill" Lillie was born the eldest of four children on February 14, 1860, in Bloomington, Illinois, to Newton Lillie, a flour miller, and Susan Conant Lillie. After their mill burned in Illinois, the Lillie family relocated near Wellington, Kansas, to reestablish their business. There in 1875 Lillie started his life-long relationship with the Pawnee people, who were wintering near Wellington during their removal to the vicinity of Pawnee, Oklahoma. Lillie made his way into Indian Territory while working as a trapper with "Trapper Tom" McClain's outfit, waiting tables, and working as a cowboy. He served as a teacher at the Pawnee agency and was also appointed as interpreter and secretary to Maj. Edward Bowman, U.S. Indian agent. During this time he became known as "Pawnee Bill." In 1883 he was recruited to help coordinate the efforts of the Pawnee troupe in the first-ever Buffalo Bill Cody's Wild West show. While traveling with the show in Philadelphia, Gordon met May Manning, a fifteen-year-old Quaker girl who was watching the parade. Gordon courted her for two years, and they married on August 31, 1886. Manning's family urged Lillie to create his own Wild West show, and in 1888 he began touring the country with "Pawnee Bill's Wild West." That season the show proved to be a financial failure. In that same year, four years after the death of David Payne, Pawnee Bill was named leader of the Boomer Movement, a group dedicated to the opening of Oklahoma's Unassigned Lands to white settlement. He led a group of four thousand in the Land Run of April 22, 1889, into the center of present Kingfisher County. His involvement in the opening of the Unassigned Lands brought Pawnee Bill into the national spotlight, and he reestablished a successful Wild West show called "Pawnee Bill's Historical Wild West, Indian Museum and Encampment," which traveled the United States and Europe, starring May Lillie as the Champion Horseback Shot of the West. 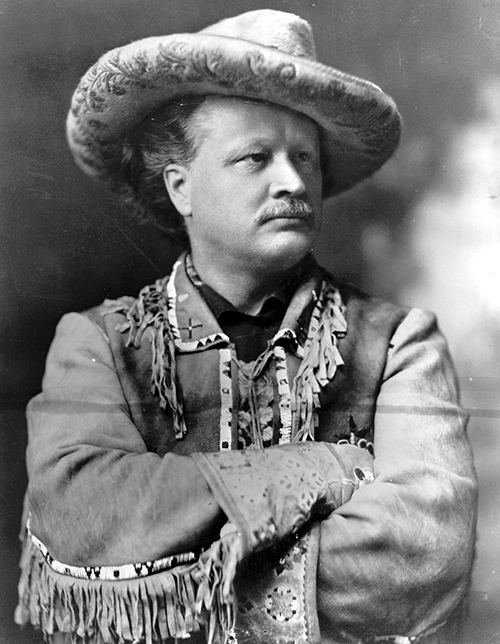 In 1908 he joined forces with Buffalo Bill Cody, forming "Buffalo Bill's Wild West and Pawnee Bill's Great Far East," a Wild West show that had no equal at that time. Lillie's involvement in show business also led to the development of a motion picture company, as well as successful endeavors in oil, real estate, and banking. He dedicated his life to preserving the perceived traditions of the West, but he also envisioned the progress that automobiles and modern highways could bring. He was president of the Highway 64 Association, and U.S. Highway 64 through Oklahoma was originally called "The Pawnee Bill Route." Pawnee Bill became devoted to the preservation of the buffalo (American bison), an animal he felt most characteristic of Oklahoma and the American West. He established a herd on his ranch near Pawnee and lobbied Congress to pass legislation to protect the animal. 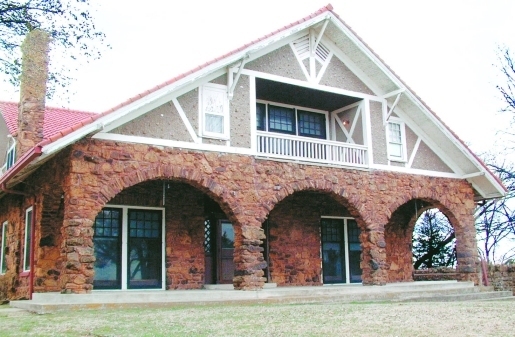 His efforts eventually led to the opening of the Wichita Mountains National Wildlife Refuge. Pawnee Bill was a promoter of Oklahoma, and it can be argued that no other Oklahoman perpetuated the mythical Wild West as did Gordon William Lillie. Pawnee Bill died in his sleep on February 3, 1942. "County's Best Known Man Died Tuesday," The Pawnee Chief (Pawnee, Oklahoma), 5 February 1942. Gordon W. Lillie, "The Evolution of a Showman," The Alumni Aegis (Bloomington, Ill.: 1907). Jack Moore, "World's Greatest Buffalo Ranch in Oklahoma," Harper's Weekly (December 1913). "Pawnee's Most Colorful Citizen Removed From Scene," Pawnee County (Oklahoma) Journal, 5 February 1942. Glenn Shirley, Pawnee Bill: A Biography of Major Gordon W. Lillie (Lincoln: University of Nebraska Press, 1958). Erin Glanville Brown, "Pawnee Bill (Gordon William Lillie)," The Encyclopedia of Oklahoma History and Culture, https://www.okhistory.org/publications/enc/entry.php?entry=PA024.